The first eSeminar is this Thursday, 29th September, 2pm UK time and it’s title should tell you everything you need to know. 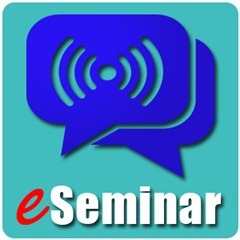 The eSeminar should last for around 45 minutes with a Q&A session at the end. During that time I’ll be covering some of my favourite short cuts, tricks and general tips that should help every portrait and wedding photographer. I’ll be demonstrating Photoshop CS5 cool talents, but as much of the eSeminar will focus on RAW processing, a lot will be equally relevant to Lightroom users. If you’re unsure of the local time you’ll need to be online this handy world clock has 2pm London time in 100’s of different countries. Logged in for seminar at 7AM local time (Salt Lake City, Utah, USA) and it never happened. Waited until 8AM; still nothing. Never mind. Got the date wrong. My bad. That’s what I get for trying to think so early in the AM. The recording should be available from the 30th September 2011. I’ll make a new post with all the details then. I’ve seen the recording and, as usual, learned a lot from you Gavin. Thank’s again! I commented on the other post – thank you for an excellent seminar and I certainly learned a few things I didn’t know and I’ve been using Photoshop for about 20 years !! Any chance of being able to download the seminar for playback reference at some later stage ? Thanks again – looking forward to the next one. Thanks Richard. Sadly it’s not downloadable as far as I know.